German magazine Auto Bild allrad called Goodyear UltraGrip Performance SUV Gen-1  ‘exemplary’ as the tire shared first place in the magazine’s latest SUV/4x4 winter tire test. Tested on an Audi Q5, the 235/60R18 size tire was praised for its excellent handling in all weather conditions, good steering response and short braking distances. In the test the Goodyear UltraGrip Performance Gen-1 proved to be a very good all-round winter tire, suitable for all road conditions in the colder months. 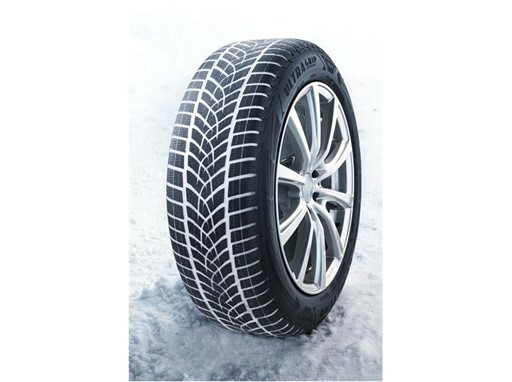 The tire received top marks for wet grip and dry handling, while also showing its class in braking on snow. It’s the law: it is compulsory to use winter tires in some colder European countries. The colder, the more effective: made from specially-formulated tread rubber, winter tires make it easier for you to control your car on icy and snowy roads. Strong traction: winter tires have wide tread blocks and extra cuts in the tread called ‘sipes’ that give the tire extra bite to grip winter roads, hills and sharp corners, and get rid of build-ups of snow. Confidence and control: most drivers find that winter tires give them that extra security when they’re driving in challenging winter conditions. Durability: Summer tires wear more quickly in cold temperatures than winter tires. Goodyear is one of the world’s largest tire companies. It employs about 64,000 people and manufactures its products in 48 facilities in 22 countries around the world. Its two Innovation Centers in Akron, Ohio and Colmar-Berg, Luxembourg strive to develop state-of-the-art products and services that set the technology and performance standard for the industry. For more information about Goodyear and its products, go to https://www.goodyear.eu/corporate_emea/.